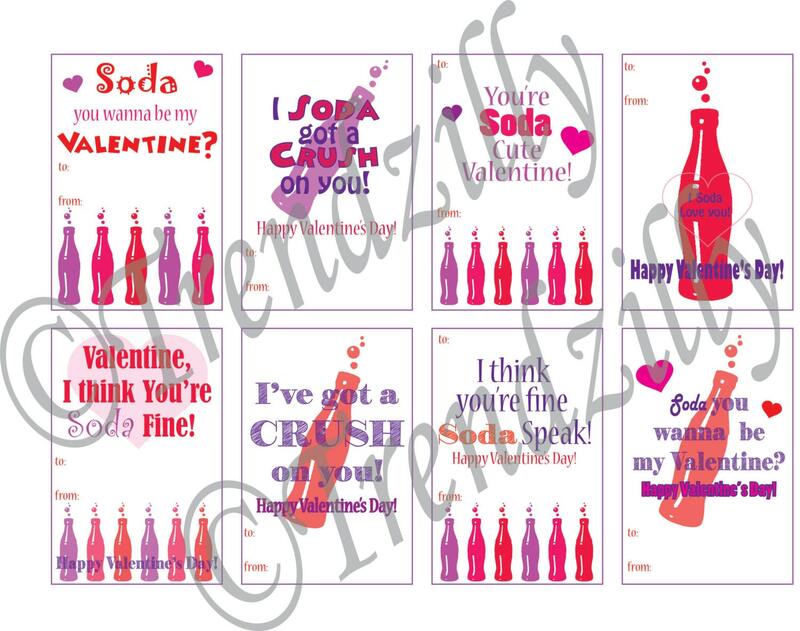 This is a printable download of 8 mini soda can valentines labels. Labels are 2"x3" and made to fit the mini 7.5oz cans of soda. This is a fun valentine idea for anyone looking for something a little different. 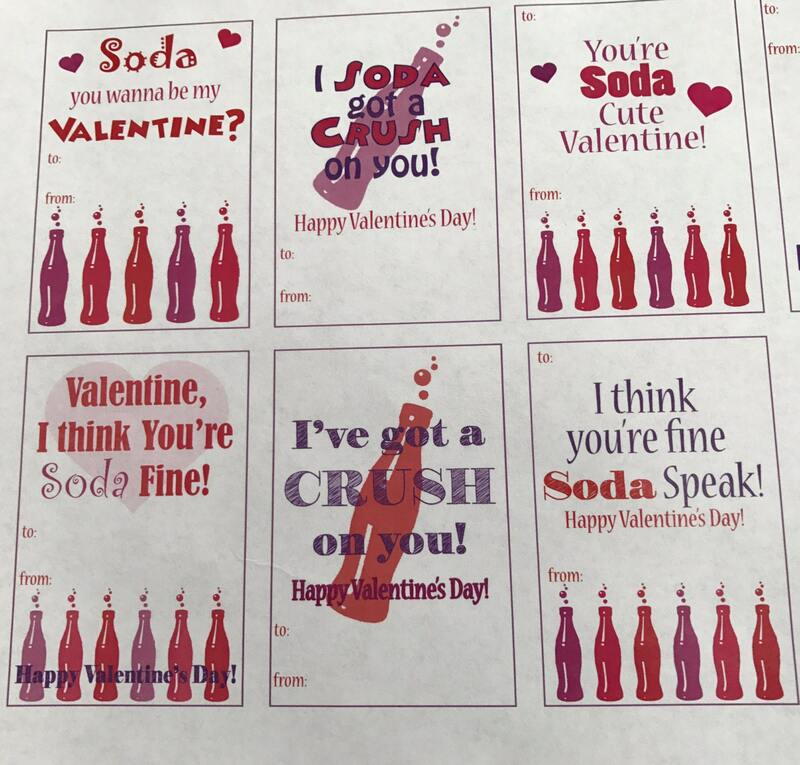 Valentine have a place on each label to write who it's to and from. Use as is, or personalized with embellishments if you wish. If you would like personalized valentines contact me for a custom order. File will be available for download after payment is confirmed. **Downloads are for personal use only! Can not be sold or use in any way other than the intended use without permission.